August 13th is a very special day for Japan’s no. 1 radio station, J-Wave. 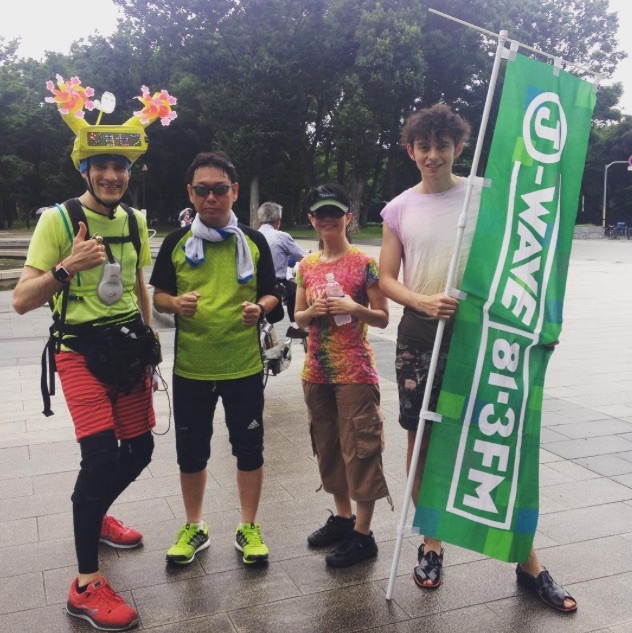 That’s the day that the station, based on the 33rd floor of Roppongi Hills, celebrates ‘J-Wave Day‘, with a whole host of special programs involving listeners, designed to thank the community. 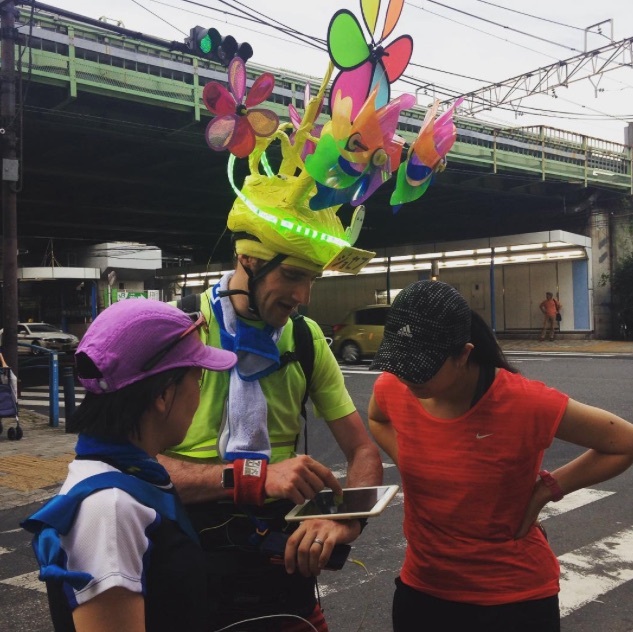 A couple of months beforehand I was invited to the studios to discuss an idea for a project that would involve the very active running community that’s grown around the evening radio show ‘HELLO WORLD’, and many of the stations DJs who run on a regular (or irregular!) basis. 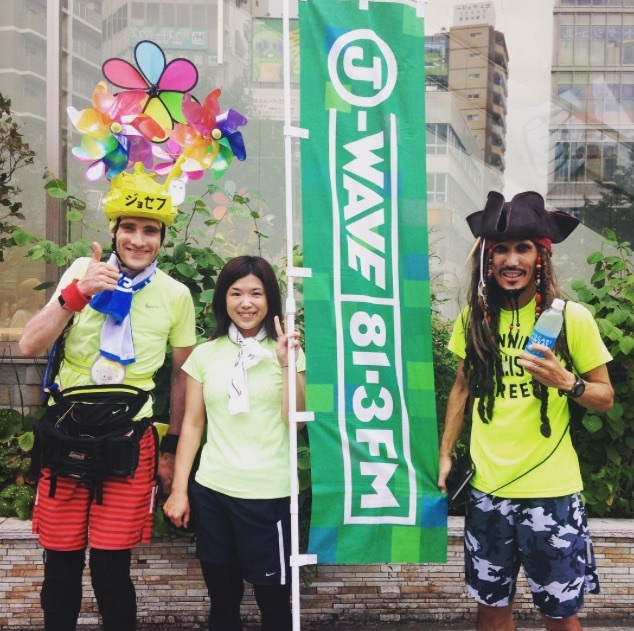 The plan was to draw a huge picture of the J-Wave community logo ‘J-Me’, a friendly J-figure with some beautiful curly hair that also read ‘me’. After experimenting with a number of variations of the design, we settled upon a 100km course that would be split over a period of 3 days. 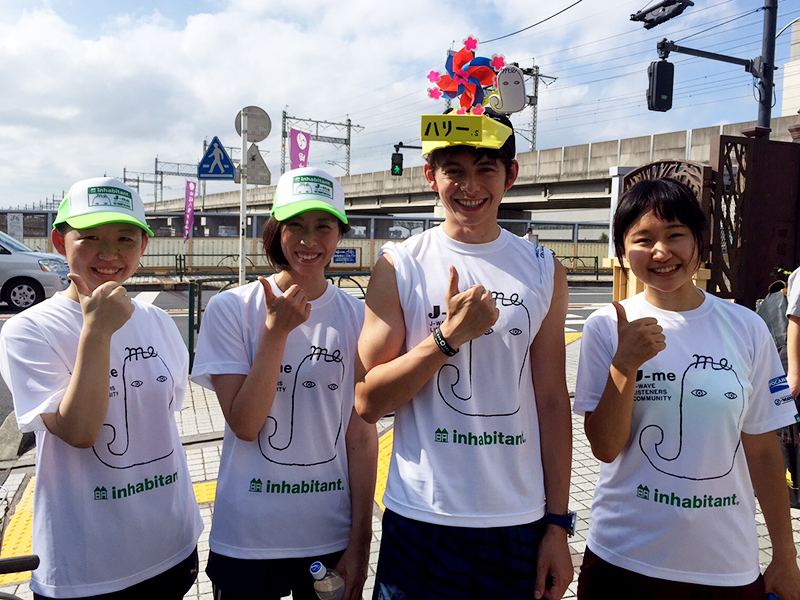 On the first day we ran 20km, drawing the eyes, around Ueno (right) and just to the north-west of Tokyo Dome (left). 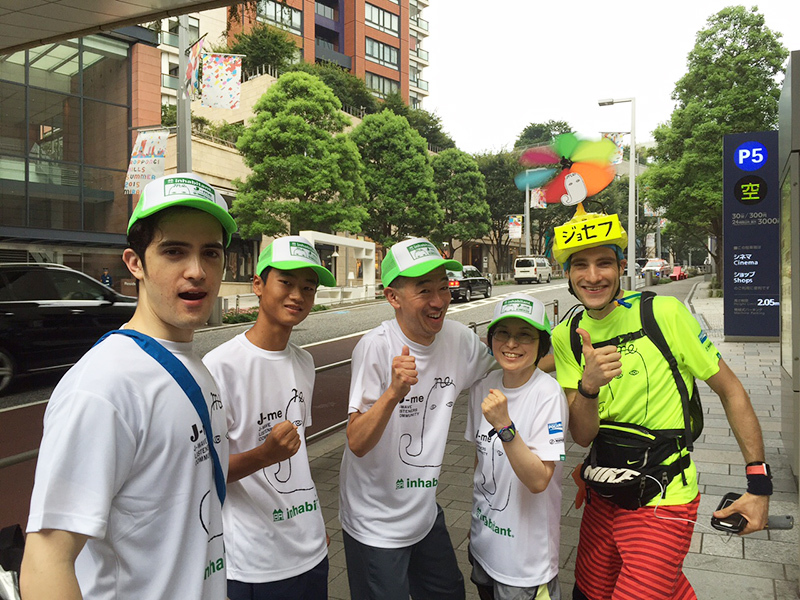 For that, regular runner and half-British J-Wave DJ Harry Sugiyama joined myself and 5 listeners. The right eye was quite a challenge – involving us having to go right to end of platform 9 to draw the pupil! 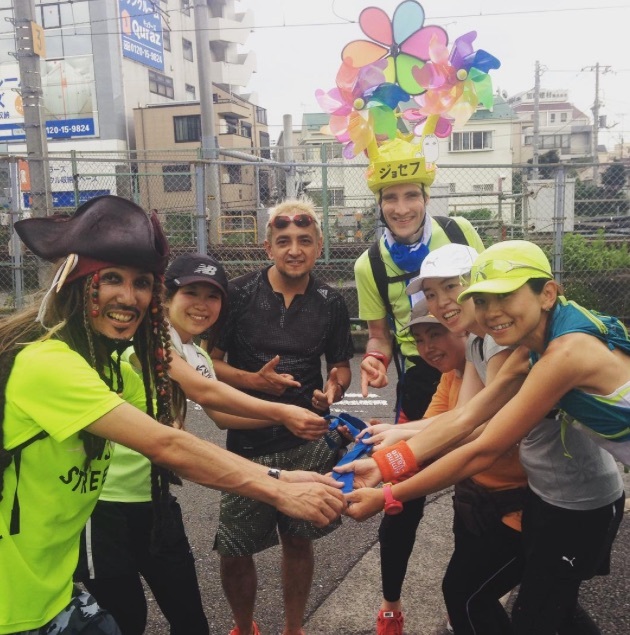 On day two, DJ Taro joined us as we ran J-me’s hair, another 20km course, split into 3. This course would have been perfect for train-otaku, taking us across many railway lines, and alongside the shinkansen yard. I thought how much my 2-year-old son Ricky would have enjoyed that…! 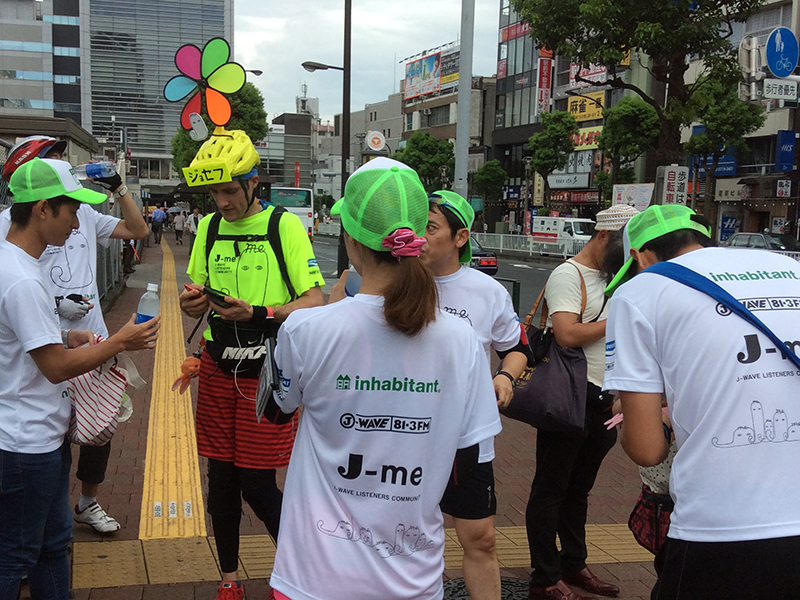 The third day, on which we ran the 60km outline of J-me, was the main event. 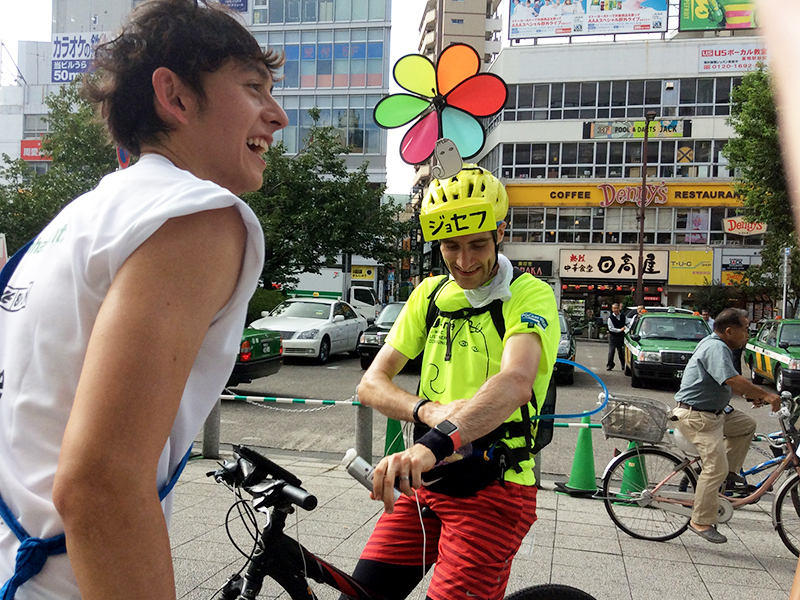 Eight teams of listeners and DJs were assembled, along with mobile live broadcast engineers, hydration station staff, producers, coordinators – and a big bus which doubled up as a mobile changing room and bicycle carrier. 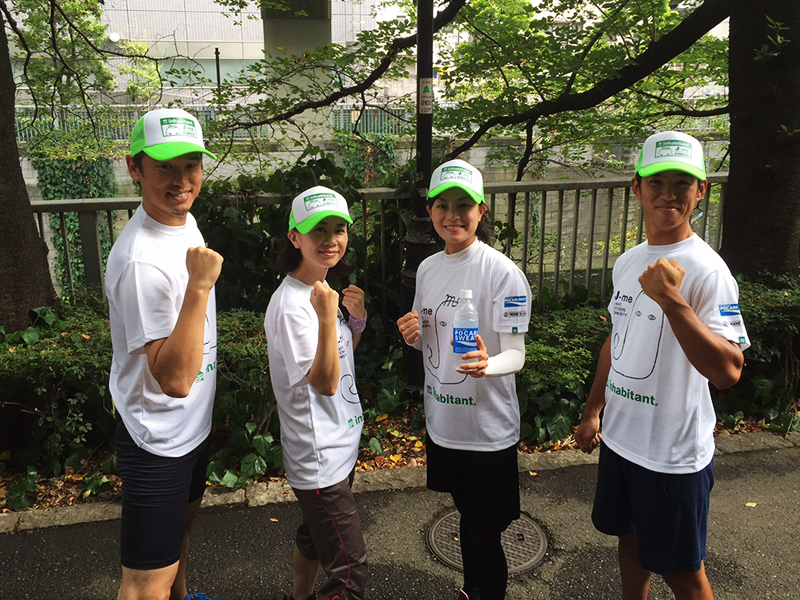 At 8am we were all gathered at the start point (Roppongi Hills), ready for the big run! 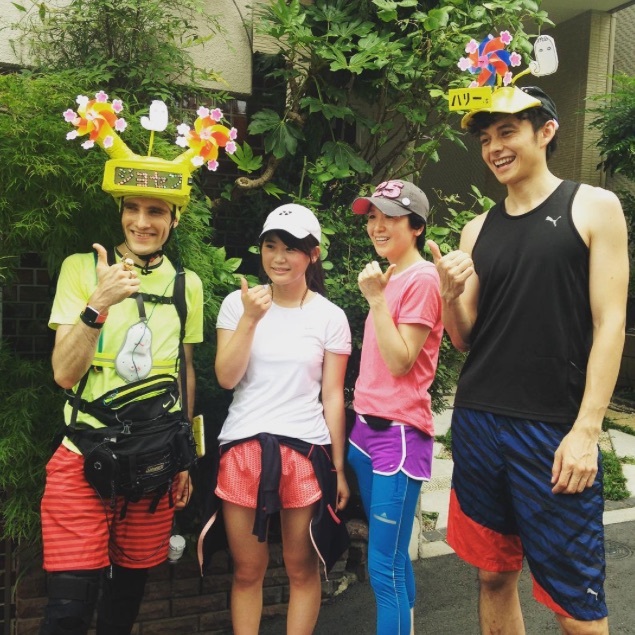 The weather at that time was a mixed blessing – it was raining, but this meant that the temperature was a little cooler than it had ben in previous days – summer in Japan can be scorching hot! Off we set! 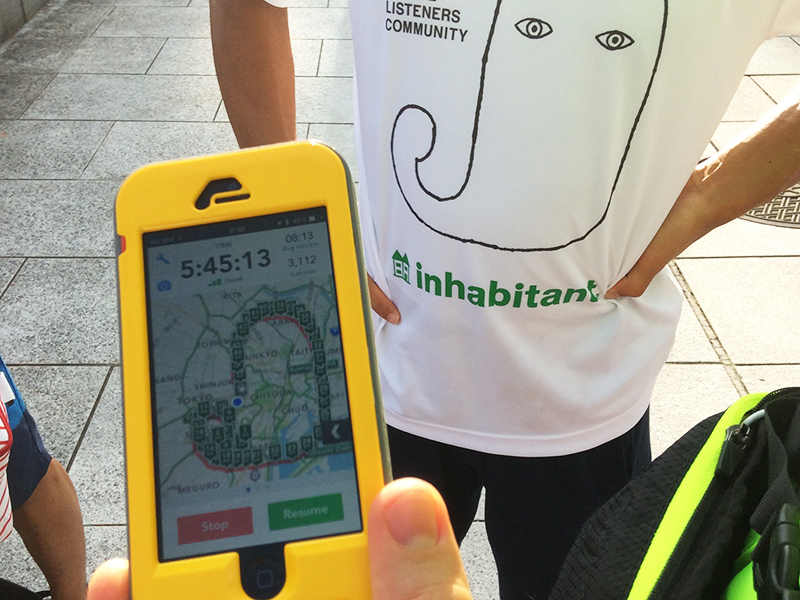 I was carrying three smartphones to ensure that the live broadcast of our location (possible thanks to Runkeeper Go) reached the station website without any problems. I was soon thankful that I’d decided to take a backup device, as after just 8km the rain tapped on my Android screen a little too hard, and ended the main running activity prematurely, thus destroying the picture! The backup iPhone though was working fine, and we had no problems after that. 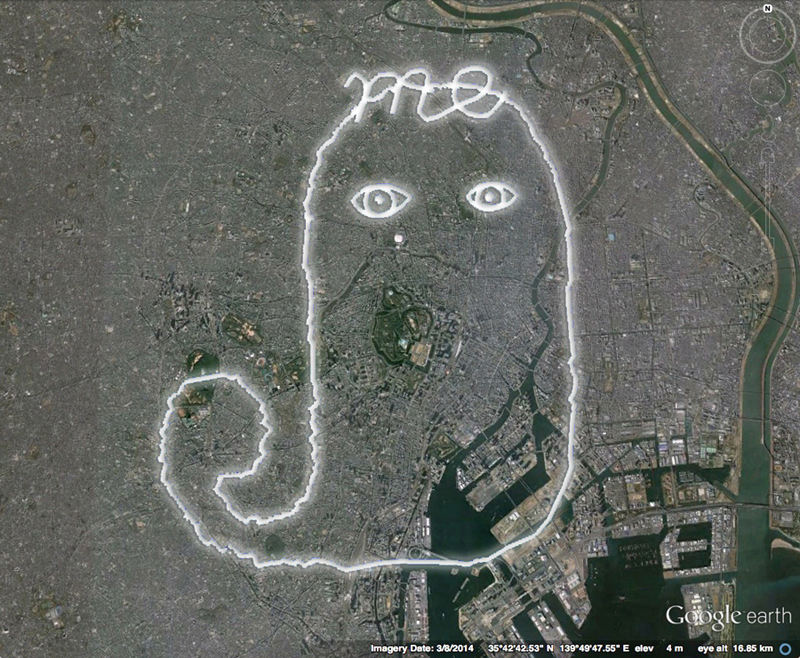 You can check out the actual Runkeeper activity for the outer section of J-me here. 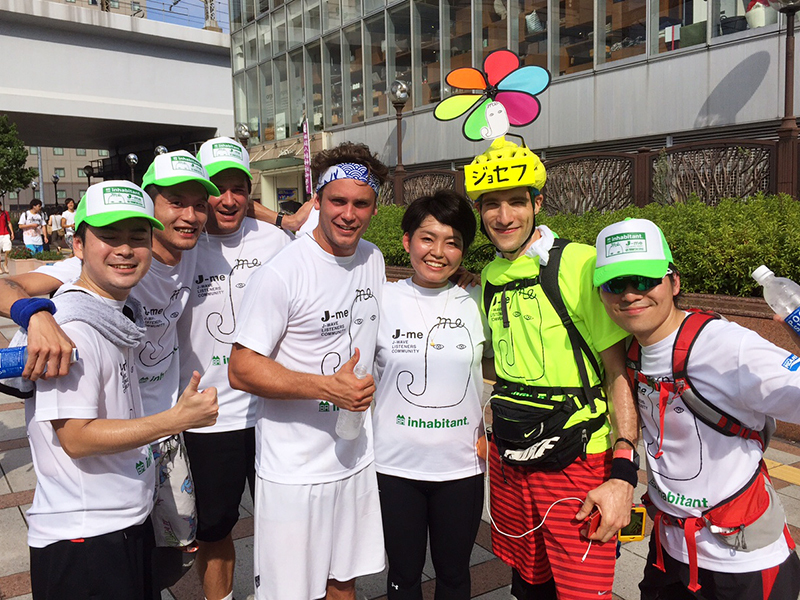 It was a lot of fun to run with so many different people. 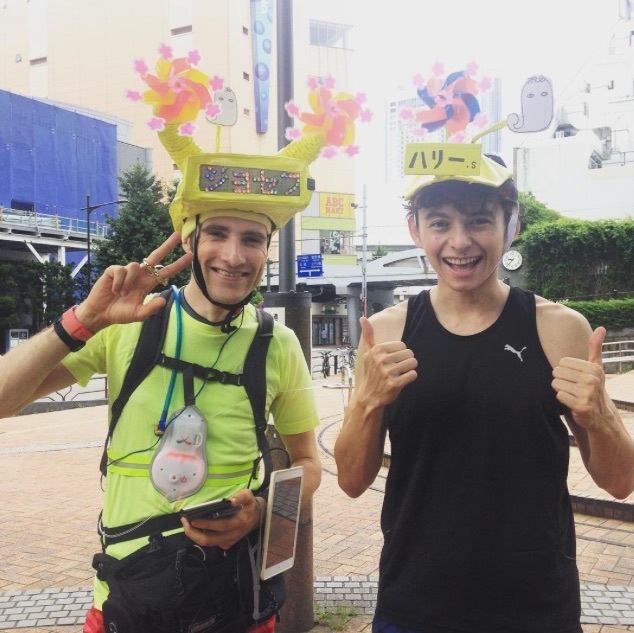 I had been hoping to run the entire course, whilst at the same time knowing that it would be pretty tough to do the whole 60km having not really trained for it. As it was in the end my right knee decided that it didn’t want to go that far, and half way across Rainbow Bridge I suddenly found myself in excruciating pain, barely able to run at all. 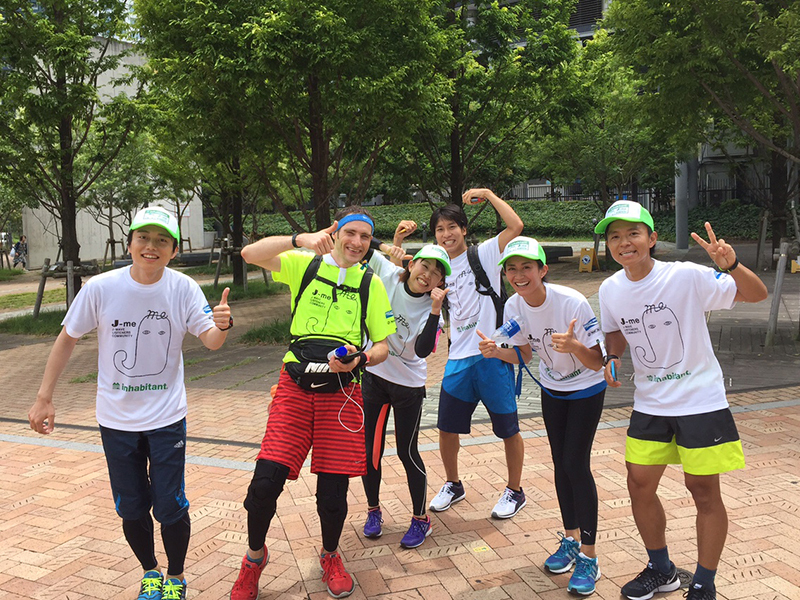 The following 6km to the next checkpoint (at Toyosu) were a little challenging, but thankfully the team of runners were more than capable of taking on the task of running the big loops to the south needed to make a smooth curve around the bottom right of J-me – I was able to take a shortcut to Toyosu, where the support team were waiting with a bicycle that I could use for the remaining 30km. I can’t speak highly enough of the support staff. They were just fantastic, always right where we needed them, always supportive, always happy to see us. They had thought of all eventualities, ensuring that everything went like clockwork. 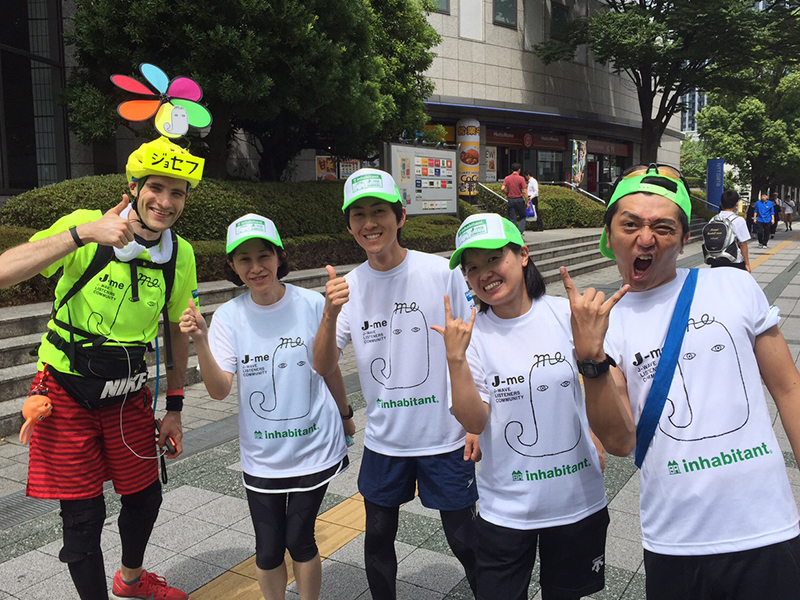 …and the runners! Everyone so enthusiastic and determined! 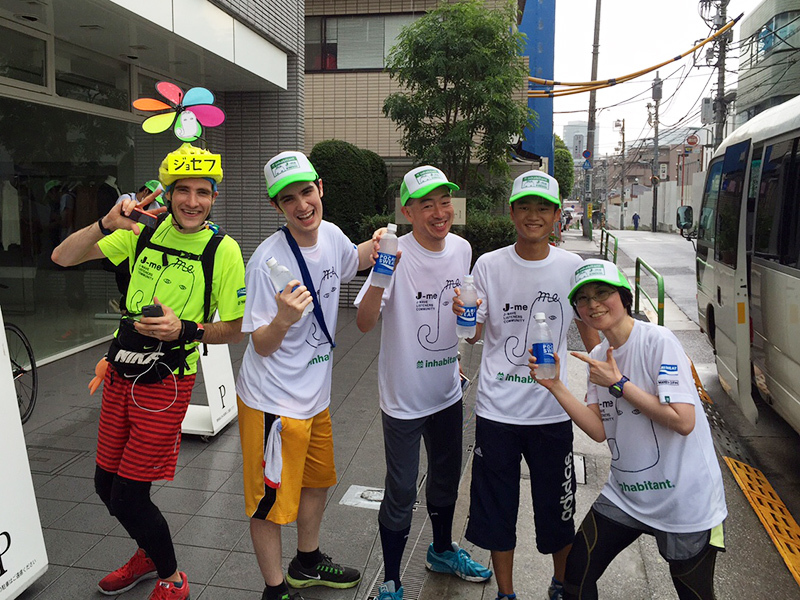 We were under pretty strict time limits in order to complete the challenge according to schedule, so there was no time for slacking! 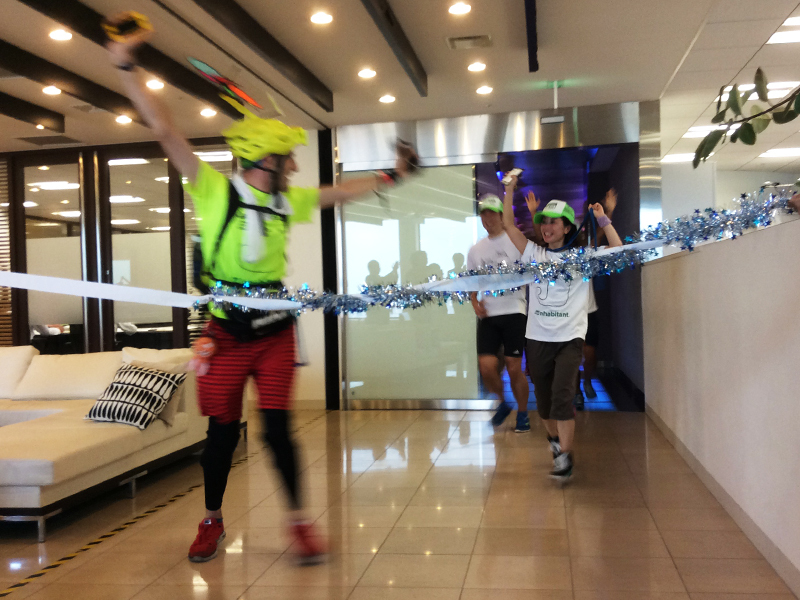 I was really moved by just how invested everyone was in the team reaching its goal. A really fabulous team effort. We arrived back at the J-wave studios about 9 hours after departure. Apparently the production team had been considering making us climb the 33 flights of stairs instead of taking the elevators …but thankfully took pity on us. 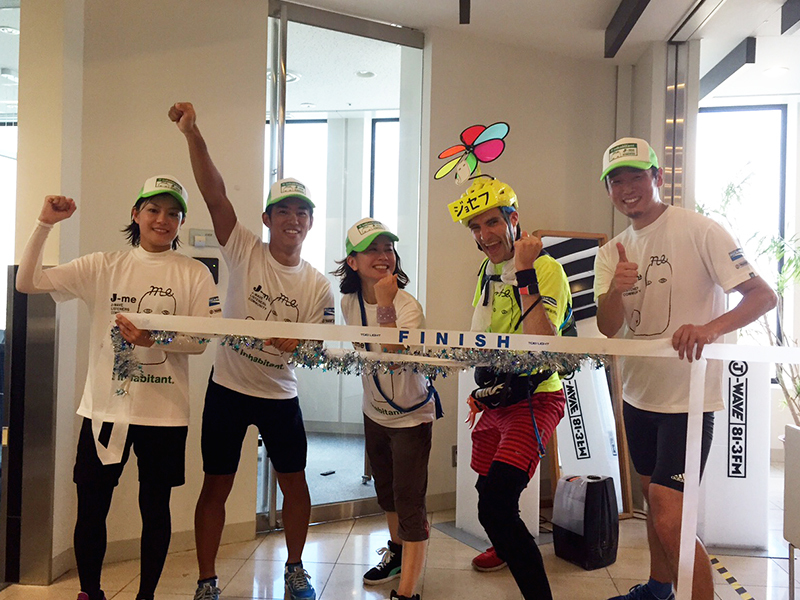 Running into the studio was fabulous; all the staff waiting for us and holding the tape for us at the finish line! Overall, it was a huge success. 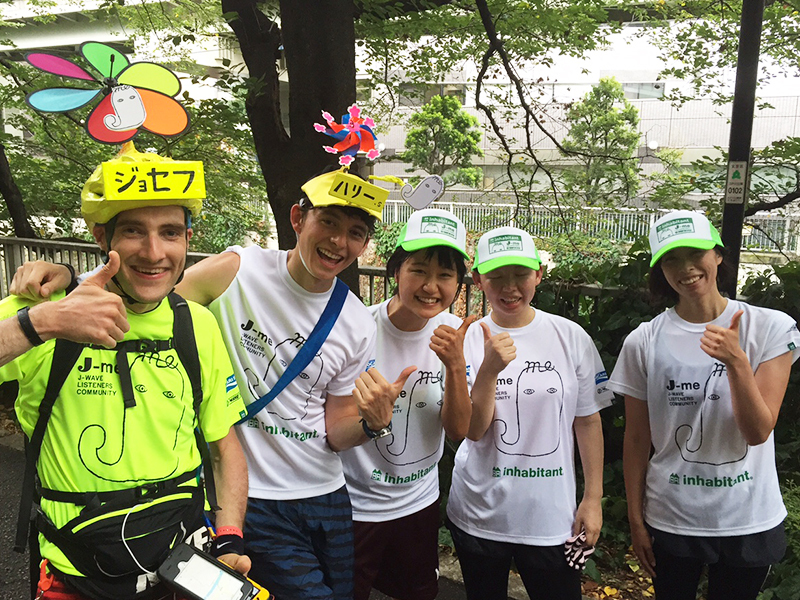 I’d like to personally express my thanks to everyone who helped make this such a success, from the J-Wave staff to the event coordination team, from the listener community runners to the DJs – and to the general public who cheered us on! It was an unforgettable event. 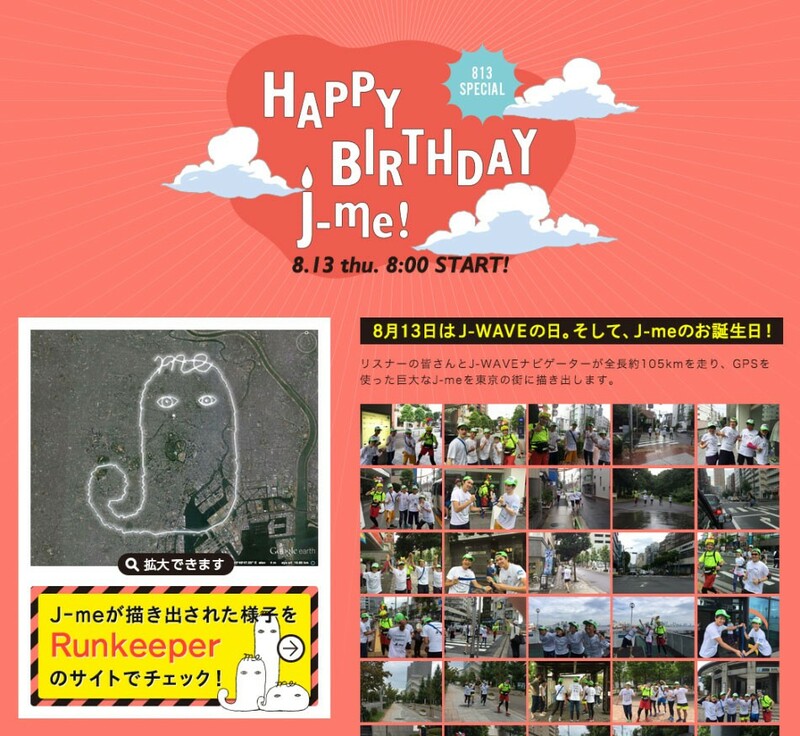 Together we made sure that J-me’s birthday was celebrated right across the city, and beyond! Check out the pre-event blog here.